I have previously published a post on how to add a graphic to the New Blogger blog header in this post: Adding a graphic to your blog Header. With this method, other than pictures, you can add other stuff like Google AdSense ads, search box, etc. You also have the choice of leaving the Title alone (for search engine purpose this is good). Or like what a lot of people do, incorporate the title into the graphic and delete the text title which I think is a bad move as text title figure prominently in search engine for figuring out what a blog is all about. First, backup your template (see post Backing up and changing your New Blogger (formerly Blogger Beta) template. You will need a suitable picture already hosted on the web and have the URL ready. You can either use Blogger to host the graphic. See post Getting the New Blogger (formerly Blogger Beta) to host the photo for your profile, sidebar, Header, etc. (click "BACK" button to get back to this page) or use Photobucket. where #FFFFFF is the HTML code for white. You will first have to find a music file that is already hosted on the web, or if you have your own music file stored in your computer, upload it into a file host and then get the URL of the file. If you don't have any music file saved in your computer to upload, you can find files already hosted at freemp3mail.com, select the artist, click "Free Download" and you will be taken to the file hosted on the web. You can copy the URL from the address bar of that page. For example, this is a file already hosted on the web: Josh Aran (Blossom). <embed src="URL of music file"
and see if it helps. Please give feedback as I have no time to test. You will have to substitute "URL of music file" with the actual URL of the music file in the script. In the script, there four attributes - width="X", height="Y", autostart="false/true" and loop="false/true". You will have to make sure that the value of width attribute X is consistent with the width of the container in which you intend to add the player into. For example, the width of the sidebar is 160 for this template, so I have to add a value less than 160 if I want to put it in the sidebar. For the autostart attribute, if you put it as true, the music will start automatically the moment your blog is loaded. Many have the opinion that this is a bad choice as the visitor may be visiting your site in the middle of the night when others are sleeping, and may be forced to quickly exit your page to stop the music. If you put the autostart attribute as false, the visitor will have to click the start button to start the music. For example, I have used the "Add a Page Element" to embed an MP3 player at the bottom of this blog Good Hobby Ideas. Try clicking on the start button to listen to the music. For this player, I have put the attribute loop="false" so that the music will stop when it is finished. If you want the music to loop continuously, you will have to put loop="true". As you can see from the screenshot, you have various option like orientating the player horizontally or vertically, select the size, whether to start the music automatically or manually, etc. You will also have to select your blog platform (which in our case will be Blogger) and type in the URL of the blog you intend to embed the player into. When you are finished the configuration, click "Activate" and the next page will display the script for you to paste into your post or the Layout. If you paste it into your post, when you try to publish it, you will get an error message "Your HTML cannot be accepted.......". 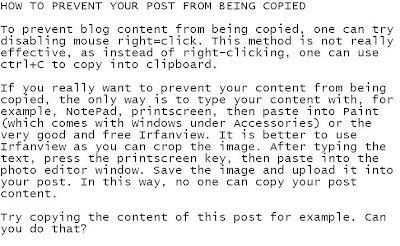 Ignore it, tick "Stop showing errors for this post" and publish. 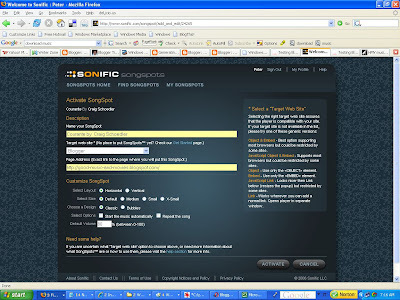 You can see an example of the player embedded into a post at Testing Sonific. The player will only appear in this particular post. You can also see the player embedded in the footer of this blog. In this case, the player will be displayed in all the pages of the blog. 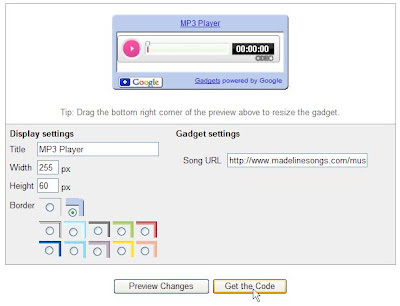 You can also use Google Gadget to add an MP3 Music Player on your blog. See post Adding a MP3 Player to your blog (click "BACK" button to return to this page). In every blogspot.com blog, there should be a search box in the navbar at the top left corner of the page. Putting a search term in the box will lead to a page with all the posts containing that search term. However, some bloggers for various reasons like to hide or remove this navbar. You can replace this a Google sitesearch box like the one in the Header of this blog. However, to be able to do that, you have to have an AdSense account. If you want to apply for an AdSense account, you can click on the text link that reads "Generate revenue from your website. Google AdSense" at the top of the right sidebar. Also, this search box works in a different way from the search box in the navbar. It produces a page with links to posts that contain the search term. There is one more way of putting a search box that gives the same result as the search box in the navbar, that is, producing a page that contains all posts rather than links. You can see an example of the search box at this blog: Good Health Information. The search box is at the bottom of the left sidebar, below the profile. Try typing in a search term (for example - diet) into the box and click "Search" and observe what is the result. You will get a page of all the posts that contain the term "diet" in it. style="display: inline;" method="get"><input id="search-box" name="q"
If you wish, type in a title like what I have done (Search This Site), then click "Save changes". The new Page Element will appear at the top of whichever section you have added the Page Element (in my case, it was in the left sidebar). Drag and drop to whatever position you want, preview if you want, then at the top right of the Layout, click "Save". Update 29 May 2007: In the demonstration blog Good Health Information, you may have noticed that there are 2 search boxes, one which is the Google sitesearch box right above the main column, and the one generated using the method described here at the bottom of the left sidebar. I have put the Google sitesearch bar in a more prominent position because of 3 reasons. I can chose to have the search result open in the same or different window with the Google sitesearch box. Also, the search result page opened by using the Google sitesearch box was generated by using my Google AdSense account. Further, I can configure the background color of the Google sitesearch box as described in Blending the color of your searchbox to the colors of your site. AdSense also places unobtrusive ads at the side of the search result page that are relevant to the search. I personally do not mind such ads because they are relevant to the matter at hand. In fact, I have AdSense in most of my blogs and I have to take care not to click on them even when the ad offers something that interest me, which is not infrequent. That would be an invalid click and can get me banned from AdSense. If you want a Google AdSense sitesearch box, you will have to join the AdSense program which you can do by clicking the text link that says "Generate revenue from your website. Google AdSense" at the top of the right sidebar of all my blogs, including this one. Recently, I received an email from Blogger saying my blog Generating revenue from your blog has been marked and locked as a spamblog. I can not longer edit or post on that blog. I had to go through a word verification process to get that blog reviewed by a human, and I don't know how long that will take. What triggered this unwanted action? Well, prior to that, I had tried to prepare a post to answer a question from a member of the Google AdSense Help group. As I don't want him to wait too long, I have been repeatedly publishing the post as I went along, with a notice at the bottom "To be continued". I believe this is what triggered the spambot to mark the blog as a spamblog. Conclusion: To avoid being marked as a spamblog, do not repeatedly publish in a short period of time. UPDATE 17 February 2007: Got an email from Blogger saying my blog has been reviewed, verified, and cleared for regular use so that it will no longer appear as potential spam. It took only a day, so I think Blogger Support does not really deserve the bashing they often gets in the Google Blogger Help group. UPDATE 2 March 2007: Another of my blog Generating Revenue From Your Site got blocked as a spamblog. I did nothing, like for example what is mentioned in this post, to trigger it, nor do I see anything in the blog that might seem even remotely that can get it classified as a spamblog. Another of my reader also reported that his blog was blocked. And there were many reports of such happenings in the Google Blogger Help group. Something musst be seriously wrong with the algorithm used by Google spambot. UPDATE 3 March 2007: Received email message saying my blog is cleared and I can now post to the blog. See. Blogger Support does not deserve the bashing they often received in the Google Blogger Help group. Got a question from a reader of my blog in the comments section of this post Incorporate AdSense ads in your New Blogger (formerly Blogger Beta) posts. The question was: "How do i add adsense codes as you did on your page on Top right hand side and also on header below search. Currently, i m using 3 column blogger (http://visitformoney.blogspot.com). How do i put adsense code as you did on your site Peter?" in the comments section. As it will be difficult to answer it in the comments section, I thought I will answer it with a post. If you want another page element to contain, for example the link unit, just repeat the process. BTW, you can actually incorporate both scripts into the same HTML/Javasscript Page Element if you wish. I have written a previous post on how to get Blogger to host your photo for the profile, sidebar, <img> tags, etc at Getting Blogger to host your pictures for the profile, sidebar, etc.. However, tests have shown this method no longer works. Click on the picture (or the caption) to get an enlarged version of the photo. In the method describe previously, you will use the URL in the address bar of this page. Don't. It wouldn't work now. You can try it yourself if you want. Try putting that URL into the Photo URL in the EDIT PROFILE page and confirm for yourself that it can't be done. You will get the error message "Cannot find file at specified URL: link is broken (failed request)" and if you have already put in your profile photo, that will remain as this attempt will fail to replace it. You can also try putting that photo into the sidebar using "Add a Page Element" in the Layout, choosing "Picture" in the pop-up, and putting that URL in "Configure Image" page. You will get the error message "Please specify an image". Putting that URL int the <img src="photo URL"> tag will also not display a photo. This should be the photo URL you should use for the profile photo, for inclusion in the <img src="photo URL"> tag, for Picture in the sidebar, etc. Update 12 April 2007: I have made the actual photo URL in the first scrollbox red so it is easier to spot. The photo can be used to promote tourism to Malaysia. 2007 is Visit Malaysia Year, and many programs have been planned for visitors and this will be a good year to visit Malaysia. 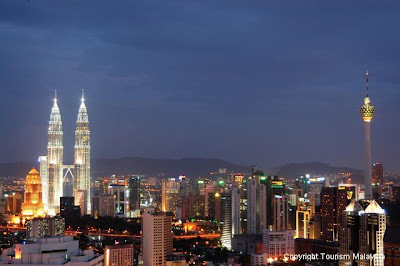 For more information, see Guide to Malaysia. This question crops up farely frequently in the Google Blogger Help group, so I am writing a post to explain how it is done. Now whenever you want your paragraph to be indented, you have to type your text between the <p> and </p> tags, that is, start the paragraph with a <p> tag and end it with a </p>. UPDATE: 11 April 2007: A reader has commented on difficulties in implementing the hack above, and asked for alternative. I have published an alternative way to indent your paragraphs at Another way to indent your paragraphs (click "BACK" button to get back to this page). and then read the rest of his tutorial side by side with the list in Notepad so you don't have to go back and forth in the post to refer to the list of code. New Blogger (formerly beta) 3 column template modified by Stavanger. If you see anything different from the above screenshot, then it is still using the old classic Blogger account.